Have you lost or deleted your important files? If yes, then you must be in a desperate need of a good solution to get your important files back. In this article, we will review one such solution that can help you get back your deleted files as well as files from formatted or corrupt hard drives and deleted partitions with ease. Now that you’ve lost your important files and data, you must be regretting and realizing the importance of data backup. It could have been much easier to obtain deleted data if you would have been maintaining a regular data backup of your system. Anyways, now that you don’t have any backups, the only way to recover deleted files and data is by using a dedicated data recovery tool. One such tool comes from a very renowned data recovery expert, ‘Stellar Data Recovery’, which has been working in the field of data recovery since 1993. The tool is Stellar Phoenix Windows Data Recovery - Free, a DIY data recovery software with user-friendly GUI. The tool’s Free Download allows users to scan, preview, and recover permanently deleted data (music, videos, images, compressed files, email databases, documents, internet files, and other miscellaneous files) from any kind of media storage device. The free tool offers some advanced features that help the user to scan deleted files using the advanced search option, Deep Scan, Preview deleted files before recovery, etc. Some of the most prominent features of the tool is described here. With the help of Stellar Data Recovery tool, you can recover files from deleted or missing partition by using the “Can’t Find Drive” option under Other Location in the Select Location Screen. It lists all partitions on the selected hard drive that were deleted or got corrupt or went missing from the system. If the files that you need to recover are not found or the recovery results are unsatisfactory in the Quick Scan, then you can turn on ‘Deep Scan’, which thoroughly searches the hard disk or media storage device for the files. The Deep Scan option facilitates recovery of data from a corrupt drive or partition. It takes more time but can recover Raw Data from the hard drive. After scanning, the tool classifies files in ‘File View’, ‘Tree View’, and ‘Deleted List’. You can dynamically preview files within the tool during the scanning process. The tool provides an option to turn ON/OFF file preview feature. To preview a file after scanning is over, just click on the file and it instantly appears in the preview pane. 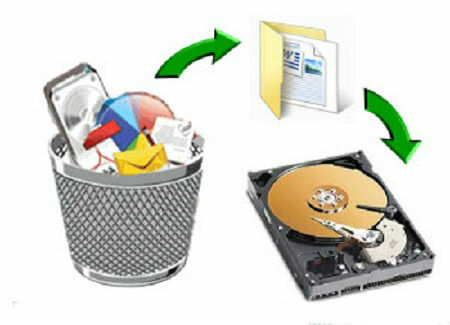 Using this free tool, you can recover deleted MS Outlook, Lotus Notes, MS Exchange, etc. mails in their original format. After recovery of email files, you can import them into their respective email client apps. The tool supports email formats like EMLX, PST, MSG, EDB, MBOX, NSF, GWI, EML, DBX, DCI, and VCF. If recovery process is taking too long, you have an option to ‘Suspend and Resume’ data recovery process as per your convenience. After the scan, click on ‘close (cross)’ icon. A pop-up message appears asking if you want to save the scan information. The scan information is saved in .DAT format and can be loaded next time when you launch the Stellar Data Recovery tool to resume the data recovery process. If you have accidentally formatted your hard drive or external media storage drive, you can still scan and preview lost data using the free tool. Make sure you don’t write any data on the drive after formatting it, otherwise data can’t be recovered from the drive using any data recovery tool. The best tool for recovering deleted files at free of cost is none other than Stellar Phoenix Windows Data Recovery – Free. A 100% safe, secure, and hassle-free DIY data recovery tool, which allows secure data recovery from the comfort of your home. You don’t need to send your hard drive to anyone for recovery, just Free Download the tool and start the scanning process. After the scan, preview the files to check for its correctness and recover up to 1 GB data easily. If you are satisfied with the results and need unlimited data recovery, then register the free software to recover and save your lost data.